Did you ever think you would like to own the work of a major artist, like say, Picasso? What would you do with your Picasso? Would you have friends over for cocktails and appetizers so you can show off your newly acquired masterpiece? Would you hang it in the foyer where everyone entering your home would be able to lay eyes on your Picasso as soon as they set foot inside your house? Would you decorate your home in a color scheme to match the colors of your Picasso? Before acquiring your Picasso, you must take these things into consideration. And there are other important details you must consider. For around 100 euros you can buy a raffle ticket from a charity for the chance to win your very own Picasso. Imagine that! Say you are the lucky winner, what do you do next? Eleanor Steafel, writing in The Telegraph, gives you the details. The first step Steafel recommends is to get insured. Most homeowners or renters policies likely won’t cover a million dollar work of art so you’ll need a better policy. Why so much? There just happens to be a major international wave of art theft crime. The BBC will be airing a new film by Alastair Sooke on the growing worldwide problem of stolen art and the black market it thrives in. Most of these major art works disappear into the black market never to be seen again. In an article for The Telegraph, Sooke explains why. When major drug cartels and other criminal gangs, can’t deal in currency, they turn to art. Art is often a better bargaining chip. Your newly acquired Picasso just became a target. Whatever security you have is not likely to equal that of a museum, so hopefully you have that insurance up to date. Or you leave the real Picasso’s to the museums with their better security and just steal a fake one. How can you do that? If you’re an artist, Austin Kleon tells you how on his blog post, “25 quotes to help you steal like an artist.” “I don’t steal!” you say. Sure you do. If you learned any techniques in painting by copying another artist, you’re stealing. Only this is good stealing. Yes, there is good stealing! And good stealing is a whole lot cheaper than buying the real thing. Plus no criminals are going to want your “stolen” Picasso meaning you won’t need that extra insurance. 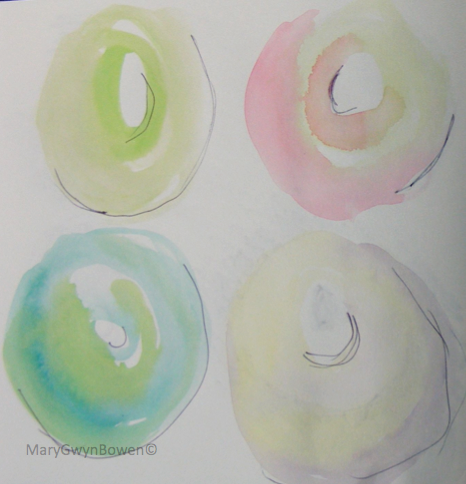 Once, I needed some doughnuts so I stole them from Wayne Thiebaud. I didn’t actually steal a Thiebaud painting. Just a few doughnuts. He didn’t miss the doughnuts and I didn’t have to insure them. Next time you are inclined to buy a multi-million dollar painting, don’t. You’re an artist. Steal it. And while you’re stealing it, you can smile at all the good you’re doing by stealing your own. No criminals will come looking for it. Your insurance agent is relieved. The new security system won’t be needed. Everybody’s happy. This entry was posted in art, art news, artists inspiration, Painting and tagged Alastair Sooke, Art, Austin Kleon, Painting, Picasso, Wayne Thiebaud. Bookmark the permalink. You know, I’d hang my Picasso on the wall, throw parties, and brag! Sounds like a “Punchy” party! This is great! I’m glad someone wrote on it!! I always wonder how much an artist of any kind can get away with and where the line should be drawn. Also- it’s really upsetting that historically valuable works of art are being sold to anyone. They should be kept sacred and well protected. Thanks for writing this! !